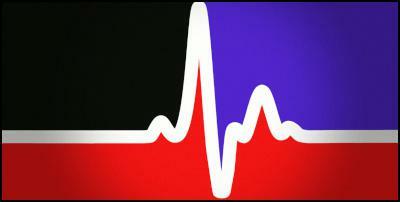 So thanks to the Greens, the Red Peak design has now been added to the options for the flag referendum in November. Wow. In one fell swoop the Greens’ Gareth Hughes has (a) rescued Prime Minister John Key from his personal flag fiasco (b) got the government out of a tight corner of its own making (c) agreed to vote with National to block Labour’s attempt to get a yes/no question added to the November referendum and (d) handed the Key government a club with which to beat the only other party – Labour – with which the Greens can hope to form a government in 2017. Was Red Peak such a compelling cause that the Greens needed to expend so much political capital on it? Surely, the principled position for the Greens was to continue to treat the flags campaign as a costly diversion by a government tone deaf to a tanking economy and to those in genuine need. It should have left Labour and National to slug it out. Instead, the Greens seem to have decided that a few hours in the spotlight was worth the risk of being seen as National’s saviour. Unfortunately, yesterday’s gambit has also gone some way to retrospectively validating the bogus campaign that Labour ran in the last few days before the 2014 election….ie, when it tried to scare voters that the Greens would support National in government. Come 2017, all Labour will have to do is point to the flags campaign to make the same point again. Crikey. Where was Clint this week when they needed him? On the upside… according to new co-leader James Shaw, this decision enables the Greens to sensibly transcend party politics and end the standoff between the two major parties on the flag issue. Hmmm. Throwing your weight behind the government isn’t a neutral position. Surely, the claim to have transcended party politics looks a bitnaïve, when Gerry Brownlee is already taunting Labour with the outcome that the Greens have made possible. It is not as though the Greens came up with a novel, deal-breaking position: instead, it has simply delivered the government the escape route that it wanted, on terms where it is agreeing to enable John Key to block Labour’s attempt to stop more money being wasted on a second referendum in March. Shaw has spent all year denying the allegations that he’s really a closet Nat in disguise. Yesterday’s effort won’t help on that score. I know, I know… the poor old Greens get damned for playing the populist card over flags, and damned when they don’t – and then end up looking like killjoys over the Rugby World Cup. Surely though, if you’re going to put populism over principle, you need to ensure that the “populist” position you’re taking really is a popular one. In this case, the Greens have put themselves on the unpopular side of the flags argument in almost every way. Red Peak isn’t a choice so overwhelmingly popular (yet) as to justify the entire manoeuvre. Meaning : there is every sign – some of it reflected in polls only last week – that the public didn’t want anyone to ride in and save the flag referendum. They want to bury it. Given the options, the public prefer to keep the current flag, Red Peak or not. And the public really don’t want to pay the full $26 million for the two referendums that the Greens have now ensured they will have to underwrite in full. Footnote : Populism can be hard work. Over the RWC bars issue, what the Greens failed to do was to link their principled concerns with the important pressure groups ( eg the Police) who were equally pissed off with the Act Party’s wet kiss to the liquor industry. In the end, the Police were left all alone to mount a rearguard action on the eve of the RWC and try to warn the public about the kids going to school at the same time as fatigued, liquored up rugby fans are getting out of bars, and climbing into their cars. That’s how you frame a populist argument – by getting respected allies on board – even when you’re up against rugby fanaticism with a beer chaser. “Greens do deal with National over flag referendum ” is not a populist position. Or much of a principled one. In my own craven concession to populism last week, this column linked to Sebadoh’s supremely cool and aloof cat in the video for “Ride The Darker Wave” … In order to transcend the petty politics of cat people versus dog people, here now are a couple of great videos with dogs in them. For a starring role by a single dog in a music video….. this video for “ Feel You” by Julia Holter is pretty great. This cut is from her new album Have You In My Wilderness that’s due for release on Friday. Well yes and no. I hate seeing Key bailed out of the hole of his own making. But the Greens have suffered repeatedly at the hands of Labour due to having no other coalition options. It may be an excellent time (well away from an election) to deliver the wake-the-F-up slap across Labour’s face to get past their fear of losing ground on the left to the Greens and pursue constructive engagement or enter an era of principles-based realpolitik. I’d choke down the dead rat to have Labour take that message onboard. National whittled the Act mongrel down to a pup size non threatening political poodle ally that would bark on call and heel on demand. Unfortunately Labour may have to similarly deal to the Greens if they want to be govt in 2017. Was Red Peak such a compelling cause that the Greens needed to expend so much political capital on it? If Labour wanted the Greens to act as if allies they shouldn’t have spent so much time insulting and belittling them before our election. Labour does not treat the Greens with respect and deserves none in return.If Labour thinks it might be a government in alliance with the Green then it should act like an ally all the time and not just when there’s something on offer of benefit to themselves. The whole flag thing annoys the hell out of me. I want the UK Ensign gone but this process – designed to strap a chicken with bland options – is queering the pitch for it happening any time soon. I could vote for Red Peak but if I do I’ll be holding my nose against the stench of how embarrassing it all is. And e) given us an adequate flag to vote for. Personally I’m pretty happy with the Greens doing it, and the by-product of making John Key look even more incompetent/desperate is just a side-benefit. Labour have been working very hard on its relationship with the Greens in recent months and have treated them as equals and allies. Andrew Little has made it a priority and since Shaw arrived relations have been excellent Look at the work they did together in the last few weeks on their refugee bills and on the joint questions to Key on Tuesday. They’ve developed a good working relationship which the Greens have torpedoed. Harking back to the past and talking about delivering slaps is a bizarre way of looking at it when Labour have been working hard to build trust. The Greens don’t always get it right, and on this one they’ve got it terribly wrong – not mentioning the awful politics of dragging Key out of the hole he’s dug himself. What you have written here, Gordon, exactly describes my reaction when I watched Parliament TV last evening. So … now we have ‘Green Peak’ as a 5th NZ flag option, yet no choice with a KIWI on it? Well done everyone. NOT. While I am trying to get my head around the Greens decision, I am still baffled as to why comentators still say the Red Peaks design doesn’t stand a chance. It consistently gets over 50% in all polls of all the flag options including the current flag. So either those opposed to it are refusing to partake in the online polls or those in the media are deliberately misrepresenting its true popularity. I am really unimpressed with the way that this process has been conducted, but I do want the flag to change. The money is being spent on the referendum regardless and even with the Greens, Labour don’t have the numbers to get their yes/no added to referendum 1. Given that the Greens options are to either help Labour stifle and kill the process or to do their best to improve the options we have, I applaud them for their stance.